Ruby red color. Expressive if a bit austere on the nose: saddle leather, hearth smoke, dried tobacco, herb, rust, some textbook decay notes. On the palate, it is complex, savory and feral: dried cranberry and sour cherry fruit, game meat. Firm acidity and tannins, not too furry or fierce. Spicy grip. A wine that builds and builds the longer you stay with it. So a sneaky length. A fine bottle of classically rendered Rioja. Needs time. Built for the very long haul; these seem to age effortlessly. 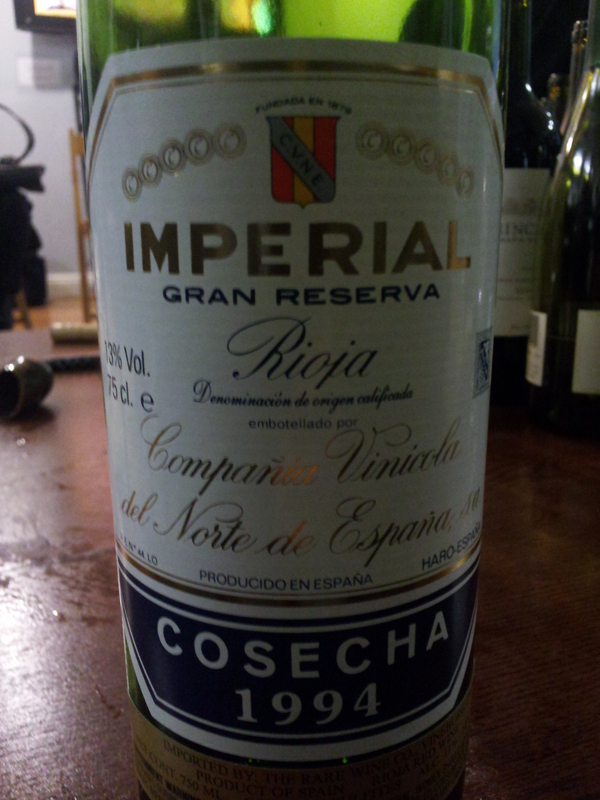 We sat down with a 1962 CVNE Vina Real Rioja in spring 2012 that was exquisite (with absolutely no hurry to drink!). Till 2030+. Now those are some amazing wine notes.